Inuit hunters in eastern Hudson Bay are working with scientists to document their observations of a changing arctic environment. Keen observers who travel widely on the bay year-round, they first noted unusual changes in the sea ice in the 1970s, when massive hydroelectric projects on northern Quebec rivers altered the flow of fresh water into James Bay. Since the 1990s, hunters have also been witnessing the effects of a changing climate and, well aware of the importance of what they have been seeing, are recording and sharing their observations. Megan Sheremata, a PhD student in the department of physical and environmental sciences at the University of Toronto Scarborough and recipient of the 2017 Polar Knowledge Canada Scholarship, is helping to document that knowledge. 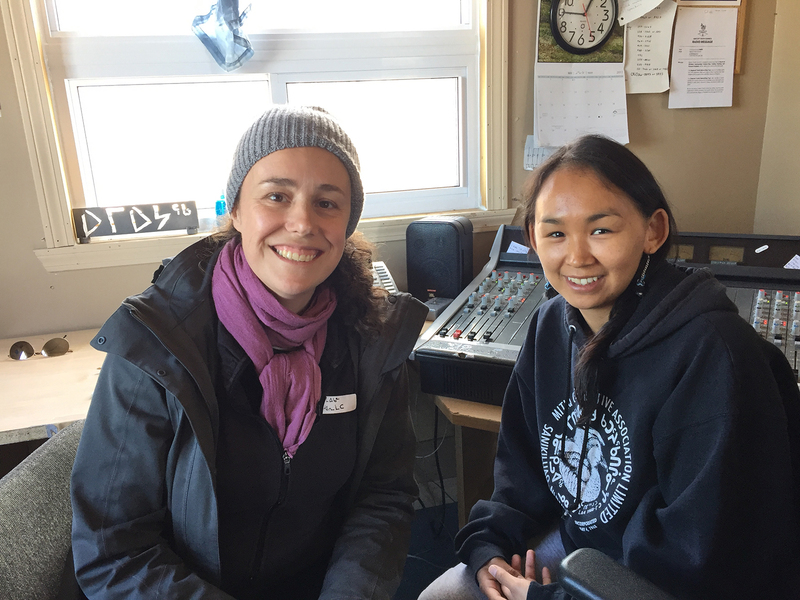 So far, Sheremata has interviewed nearly 40 experts from the Arctic Quebec communities of Kuujjuarapik, Umiujaq and Inukjuak, as well as from Sanikiluaq on the Belcher Islands, part of Nunavut. Before the hydroelectric projects, the greatest flow of fresh water into James Bay (and then north into Hudson Bay) occurred during the spring melt. Once the dams began operating, the maximum flow moved to mid-winter, when demand for electricity in Southern Canada and the northeastern United States is highest, and more water is directed through the generating stations. At that time of year, many Inuit are out on frozen Hudson Bay, travelling and hunting — and paying close attention to the sea ice. Our goal is to understand Inuit knowledge of the cumulative impacts of environmental change on the sea ice and water, and its effects on wildlife and on Inuit land use, lives and livelihoods.